Laying bricks is perhaps the most fundamental task of a mason's many activities. As an all-round mason services company, at AAP Construction we take the same pride in simple, straightforward brickwork as we do in building a fireplace. Brickwork is simple and straightforward to us because we know what we are doing, given the fact that we started our services in 1993. For example, as and where necessary, we will use plumb-lines to ensure that our brickwork is perfectly vertical. Similarly, we will use levels to ensure that the top surface is horizontal. 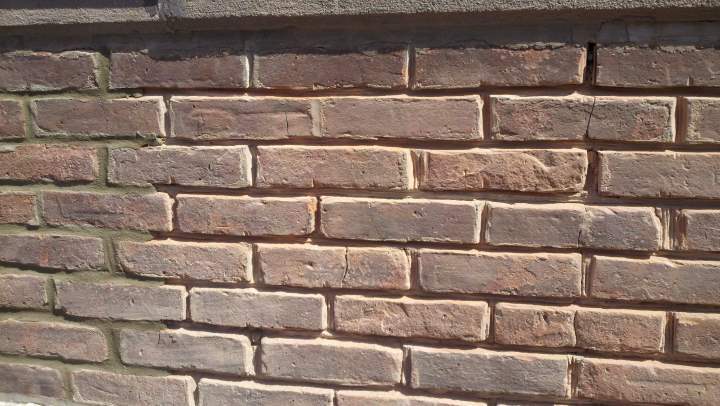 The hallmark of our brickwork is well-fitted bricks, adhered using mortar, a water-based mixture of Portland Cement, lime, and sand. We'll mix just the right kind of mortar for particular bricklaying needs. Want to know more about types of mortar? Just call us at (973) 298-1013! At AAP Construction we will do it all from 'common brickwork,' such as for plaster-covered internal walls, to 'facing brickwork,' such as for the exterior front of your home. Brickwork also has the dimension of design and aesthetics. In facing brickwork the bricks are arranged in particular patterns. In addition, bricks are available in an amazing range of styles, colors and color combinations. And they range from precise, machine-molded bricks to handmade, irregular, 'artisan' class bricks. With the experience we have gained since 1993, let AAP Construction guide you through your choices in brickwork. No matter which styles and which designs you choose, we will take pride in our work and do the job affordably. To learn what we mean by 'affordable', please call us today at (973) 298-1013 for your free quotes!